This story was originally published by News24. Johannesburg – The thick keloid scar above Sizwe’s* eye is a symbol of the time he most regrets. The wound, from a brutal fight with another boy, is darker than the rest of his face. He doesn’t elaborate on his experiences, even in the presence of social workers, but the marks on his skin and the slump of his shoulders fill some of the gaps where words are not spoken. “I got involved with bad people. I can say my friends were bad,” said Sizwe. He began by dabbling in drugs, mainly marijuana and alcohol, then a floodgate of anti-social behaviour opened. He regularly, and often violently, mugged people for their belongings. By the time Sizwe was 17, he was arrested for stealing a local school’s computers by brazenly breaking through the ceiling. But Sizwe’s is a story of hope and redemption: plucked by a caregiver from his criminal path and taken to Ekupholeni Mental Health and Trauma Centre on Johannesburg’s East Rand, he now undergoes weekly group counselling and takes part in the centre’s Social Crime Prevention Programme. Now 22, he earns a living at a local panel beater, fixing and painting cars. Why do youths like Sizwe commit crime from a young age? Why do children act violently? Why, in Ekupholeni case manager Ramza Mofokeng’s words, are there too many children at risk of becoming criminals? Sizwe comes from Zonkiziziwe, in Katlehong, where poverty, social injustice and unemployment are rife, undoubtedly contributing to the crime epidemic in the area. Of course, Sizwe’s actions may also be a condition of youth – teenagers are known to take risks. In his book Gang Town, investigative journalist Don Pinnock draws on a developmental psychologist’s view that “aberrant teenage behaviour” is the norm and its absence in a teenager is a cause for concern. “Love and care are what families are for. A survival instinct that pre-dates human existence. Newborn babies feel this not so much through stimulation or feeding, but through responsiveness. Having a mediator between a child’s temperament and the challenges of entering and mastering the world creates bonding attachment,” Pinnock elaborates in the book. “Good attachment doesn’t prevent possible later misfortune, but it does provide the resilience to cope with difficulty when it happens. Infants who are securely attached generally become well-adjusted children, explorative adolescents and responsible parents. Notwithstanding the complex factors at play, it is a piece of the puzzle so critical to understanding crime and violence in South Africa that, if grasped and addressed, may drastically reduce and even prevent its scourge and, as we will come to see, its intergenerational effects. “I came to live with my grandparents at a young age. I was sent here at about six months old,” explains Sizwe matter-of-factly. He has never met his father and he doesn’t give any details about his mother. His only sibling, an older brother, died a few years ago. Sizwe recalls his losses as if he were reciting a shopping list. He says his grandmother was “okay” to him and gave him lunch money. Sam van der Grijp, the head social worker at Ekupholeni, explains later that Sizwe’s stony response is a coping mechanism common in children who have suffered emotional trauma. Sizwe’s early life is marked by the loss of his parents and an abrupt move to his grandparents. This is traumatising for a baby, explains Van der Grijp. Sizwe’s peers in his counselling group have not all suffered the loss of parents, but most of them have a distant, even absent relationship with their fathers, and many of them have experienced violence in the home, whether through harsh discipline or domestic violence. Van der Grijp confirms that Sizwe and many other children who walk through Ekupholeni’s doors have attachment disorders caused by absent and unresponsive parenting and violent home conditions. Catherine Ward, head of the psychology department at the University of Cape Town and the editor of the seminal book Youth Violence: Sources and Solutions in South Africa, notes that, while not all children with attachment disorders become criminals or act violently, most young offenders have attachment disorders. A simpler way to understand secure attachment as opposed to insecure attachment (which is traumatising for a child and may lead to violent behaviour) is by drawing from the message inherent in the popular children’s book Owl Babies, by Martin Waddell and Patrick Benson. In it, a mother owl leaves the nest, leaving her three baby owls Percy, Sarah and Bill alone. The babies become distressed at first but the two older ones, Sarah and Percy, rationalise that their mother must have gone hunting for food. They believe she’ll be back. The youngest owl, Bill, is less secure and pines after his mom. Nevertheless, it even crosses Sarah and Percy’s minds that something terrible may have happened to her, although the thought doesn’t paralyse them. Eventually, Mummy Owl returns and her babies are ecstatic. Mummy Owl says to them: “What’s all the fuss? You knew I’d come back!” The book continues: “The baby owls thought (all owls think a lot) – ‘I knew it,’ said Sarah. ‘And I knew it!’ said Percy. ‘I love my mummy!’ said Bill. The theory simply posits that children who get distressed when their mother or caregiver leaves, and who calm down and feel contained when their mother or caregiver returns, have a secure attachment. Such children feel “held in mind” and are confident that their caregiver loves them and will keep them safe. On the other hand, children with insecure attachments will feel anxious when their caregiver leaves, but not feel entirely contained when their caregiver returns. A break in trust between infant and caregiver has lifelong effects. Psychiatrist Bessel van der Kolk in his book The Body Keeps the Score, states: “…children who don’t feel safe in infancy have trouble regulating their moods and emotional responses as they grow older”. Often, parents who are absent or who struggle with responsive parenting are traumatised themselves. Sizwe’s parents and grandparents may well have been traumatised during and after the intense political violence that took place on the East Rand during the late 80s and 90s. Van der Grijp believes that most people who lived through that time in Zonkiziziwe, Katlehong, Thokoza and Vosloorus have post-traumatic stress disorder. “There’s a lot of healing that still needs to take place,” he laments. 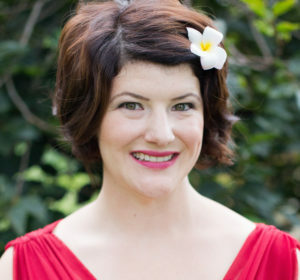 Researcher Vanessa Barolsky, quoted in The Star newspaper in a 2014 article, The street where no-one knew your name by Shaun Smilie, notes that during the height of political conflict on the East Rand, “the number of dead was so great” the state was overwhelmed. This is akin to a war zone. How can the course of a young offender’s life be altered so that he may be free from the shackles of his and his parents’ past traumas? Barolsky, in another study on violent offenders, commissioned by the Centre for the Study of Violence and Reconciliation, highlights the need for alternative ways of communicating; ones that don’t involve violence. This is particularly hard for someone like Sizwe who sees violence every day. “The taxis shoot at each other. I can say that someone dies every day here in Zonkiziziwe,” he said. 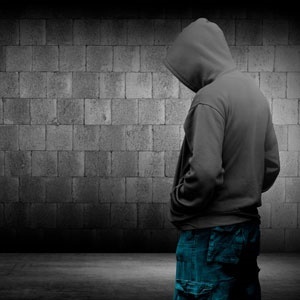 Ekupholeni’s Social Crime Prevention Programme, and the organisation’s weekly group therapy sessions help young people find alternative ways of being in the world. The programme teaches skills like empathy and positive communication. The boys also get together to play soccer, which promotes friendship and connection. The Child Justice Act (2008) highlights the need for rehabilitative and restorative programmes for young offenders and youth at risk, rather than taking punitive measures. Diversion programmes, which teach important life skills and promote community, aim to replace the juvenile jails and reform schools that existed in South Africa, and which failed to substantially reduce crime and violence in South Africa. Pinnock says programmes and initiatives for high-risk children should focus on four key traits: belonging, mastery, independence and forgiveness. These are inherent in the “hero’s journey”, made famous by mythologist Joseph Campbell. Traditionally, a young person, dejected and downtrodden, embarks on a journey of self-discovery and faces many sizeable challenges. They overcome these using all their inner resources, yet with mentorship and help from people, animals and magical things. Frodo in Lord of the Rings, Katniss in The Hunger Games and Luke in Star Wars all embark on a hero’s journey, at first reluctantly, but then, they experience redemption and resurrection. A third of the children Pinnock interviewed in his book are fatherless. 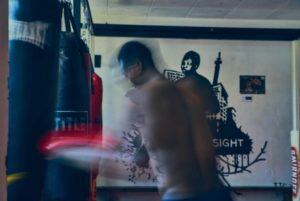 Fight with Insight, an NGO and informal diversion programme based at the Children’s Memorial Institute in Hillbrow, Johannesburg, serves as a place where male energy is channelled through boxing and where male mentors provide coaching and counselling. Luke Lamprecht, well-known child advocate and founder of Fight with Insight, believes that boxing assists with calming the nervous system down and channelling violent energy. His programme has been successful in rehabilitating child sexual offenders – these young men connect with others, form strong relationships with older male coaches and release trauma through physical activity. “Positive parenting is crucial in the reduction of crime and violence,” notes Ward. There are evidence-based early intervention programmes being carried out in Khayelitsha, Cape Town, that have been shown to improve the relationship between parent and child. 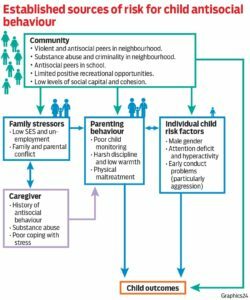 The 12-week Sinovuyo Caring Families Programme for parents of 2- to 9-year-old children provides a skills-based intervention that teaches ways to cope with child behavioural problems, negotiating alternative discipline methods that don’t involve hitting or violence. The programme also addresses caregiver mental health and provides social support. In addition, home-visiting programmes have proven effective all over the world. Pregnant mothers are visited by a care worker, then have further visits for three months after they have given birth. “Studies overseas have followed children into their 20s and found that early intervention has meant they have finished school. Which means they are more likely to be employed and therefore less likely to commit violent crime. Because they are employed, there is more income for the government, and the whole country benefits,” says Ward. South Africa has it all on paper: we have one of the most advanced child justice acts in the world, and we have prioritised early childhood development in the National Development Plan 2030. The National Early Childhood Development Policy is key in improving services to children from conception to age seven. These are the most important years in a person’s life. The policy is a significant step in the right direction. Posted on the popular Intelligence Bureau SA Facebook page is a blurry photograph, likely a crude mugshot, of an alleged murderer. He can’t be more than 19. He stares candidly back at the viewer, his face and half-naked body marked with scars and bruises like birthmarks. People are baying for his blood – 645 people share the photo on their own pages, pleading to their virtual friends and to some diffuse cyber god to bag the teenager and possibly even receive the R100 000 reward offered by the SA Police Service. Their words, hate-filled. Their words, super-glue stuck in fear and anger. No one asks what brought this young man to this place in his life. It is complex, yet we as a society could have saved him. Sizwe is healing. So are many like him. It’s important to heed, even when we’re full of sorrow and blinded by hatred, social justice activist and author Arundhati Roy’s words. – Beth Amato is the winner for Media Monitoring Africa’s Isu Elihle Awards, which aim to encourage innovative and insightful reporting on children in Eastern and Southern Africa. This story was produced with the support of the awards and its partners. Amato walks away with the grand prize of R25 000.